Â Â Â Â Unfortunately when this happened I was still in West Virginia at college. Now that I am home in NY I took a trip to Mustang Magic in Long Island to have them install some battle boxes, and I figured while I was at it I would have them install my new FRPP 31" Spline axles, and FRPP Trak-loc rearend. Time for slicks!! 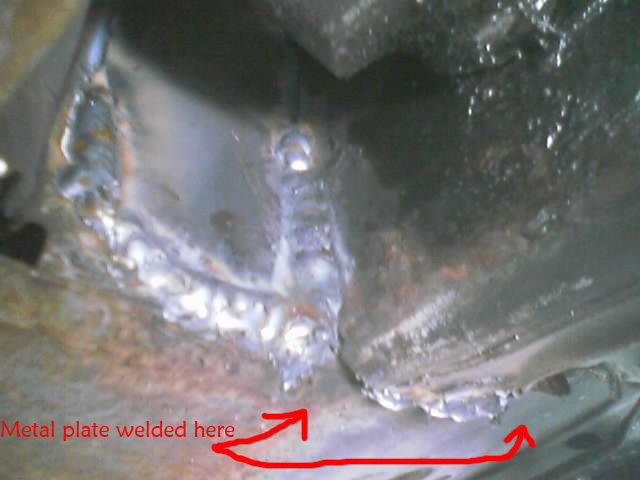 Before the metal plate was welded onto the subframe, the seam was welded shut. View from the inside underneath the back seat. 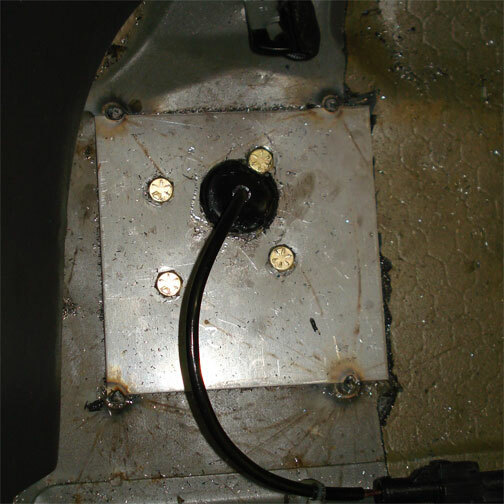 They bolt through the floor boards, and they also tacked by the corners. The reason why they got screwed up in the first place is because my buddy who helped install the lower control arms, put the upper bolts in backwards! 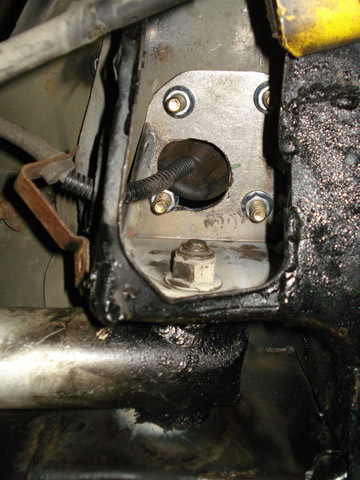 So the threads weren't lining up properly, and causing the bolts to loosen up and shift, which basically "egged" the hole. 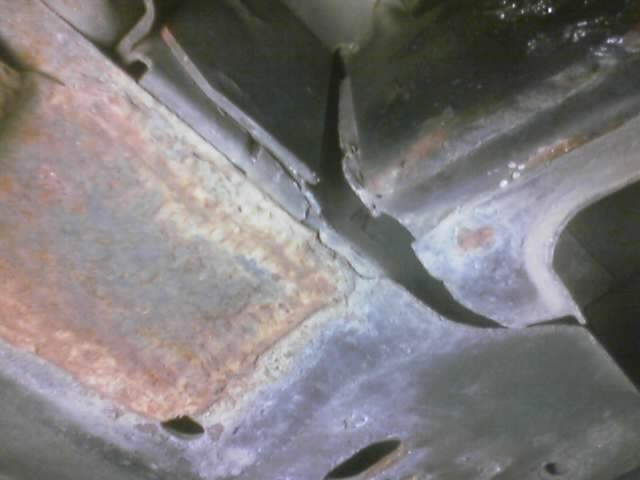 So every time i went over a bump or anything, the bolt was actually jumping in the hole, and smashing the sheet metal. 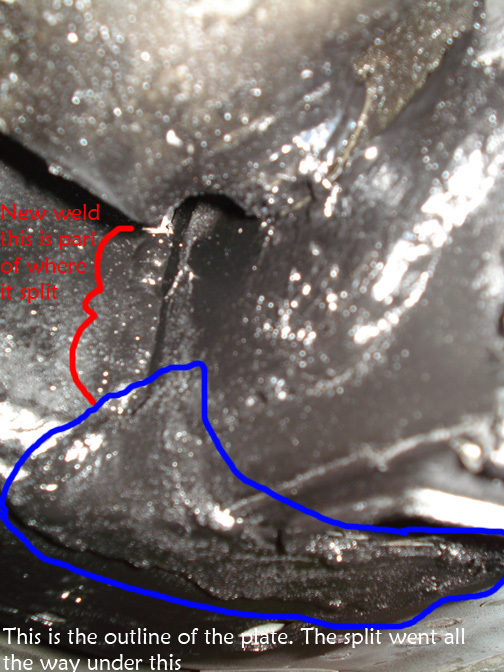 The shifting and moving caused the tq boxes to crack and break away. 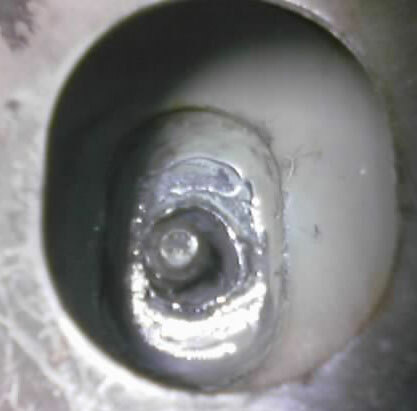 In order to fix that problem he took a camshaft washer for the cam gear, went through 3 drill bits reaming it out, and welded it over the egged hole, and put the control arm bolt through that. After the fix I can honestly say that the car drives TOTALLY different. I forgot how much smoother it really is then the way it's been.